A bee fly on a lantana flower. One of the bugguide experts identified it as Exoprosopa brevirostris (thanks!). I couldn't find much information on this fly but the species name means short beak. The genus has over 40 species in North America. 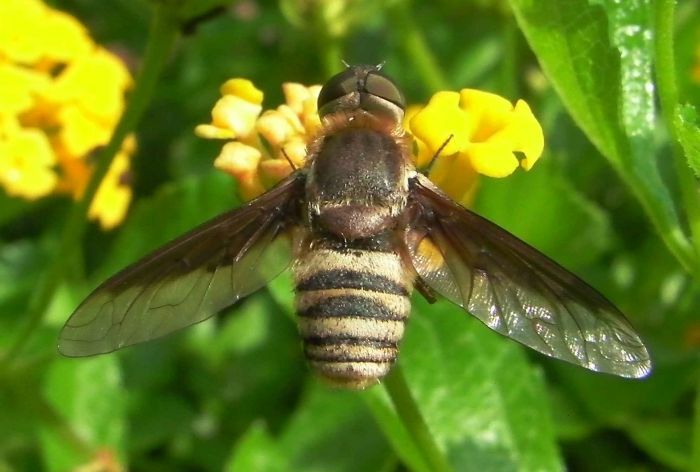 According to Wikipedia there are >4,500 different bee-fly species worldwide. They are "one of the poorest known families of insects relative to its size".